Clear’s Xing Yi is designed to build internal fighting skill as efficiently as possible. Their are 21 chapters in our Xing Yi program. The first 11 chapters discussed below will take approximately 4 months to complete. With hard work and dedication it will take about 8 – 12 months to become proficient in all 21 chapters. If the answer is no, all the rest doesn’t matter. So before we get into the full Xing Yi program you learn how to fight with each fist. These methods are simple and direct so you can learn them quickly. You learn how to be “suddenly quick” so you can overwhelm the opponent before they see you move. …but many teachers and even some MASTERS seem to have forgotten this. They’ll start with every maddening detail of the technique. Problem is, in the beginning, when the adrenalin kicks in all that detail goes out the window and you’re left with gross motor movements. So, in the beginning, we keep it simple, direct and powerful. If you’ve had some previous Xing Yi training the first couple chapters may seem almost stupidly simple. …and you’ll be able to USE it in a fight. …but ONLY because you started with simple application and an in depth study of the fundamentals. Xing Yi Quan is based on 5 Elemental Fists. In many systems these fists are learned as forms. Sometimes these forms are short and simple. just one or two movements. and in some systems they are more complex and intricate. The important thing to know is that each of the elements represents an idea. Being able to use that idea is what’s important. Being able to do a pretty form based on that idea is not. The first part of the idea to understand is the basic physical movement of each element. In this chapter you learn how to use the physical action of each element. The actions are what’s important, and the simple you go about it in the beginning the better of you’ll be in the long run. The more you can use these actions from any kind of position, The more you will actually be able to fight with them. The more stuck you are in the ABC specifics of a form the less functional it will be. You also learn how to use these movements with many different tools. Elbows, Fingers, Palm, Fist or whatever is most appropriate at any given moment. The movement is what’s important, not the tool. In this chapter you learn how to use the Internal Action of each fist. These internal actions are what separate an internal martial art from an external one. Although each element represents one primary internal action, ALL of these internal actions are present in every element. Focus on the internal actions individually for now. Make sure you get them down. So that’s the first two chapters of Clear’s Kuntao Xing Yi. At this point you already have a basic understanding of how to fight with Xing Yi and you’re beginning to build some real internal power and explosive speed. We call it post because if someone pushes on you, or hits you, or you hit them they should feel as if they ran into a solid fence post or telephone pole. 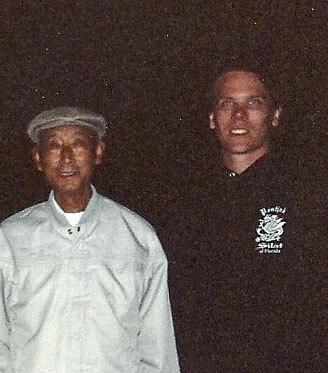 This quality is a very important part of Xing Yi Quan. First you learn some efficient ways to build these body mechanics. Then you learn how to move, strike and FIGHT with these principles. This adds a LOT of power and body integrity to everything you’ve learned already. Once you’ve developed this quality of movement and power… ..then the last half of this chapter is on how to aim and focus this power. This is where you begin to develop the advanced internal Dim Mak of Xing Yi. This is also one type of 1 Touch Knockout hitting. There are two ways use this. The first one you learn is how to target someone’s whole body or ‘frame.’ This will move somebody but it won’t normally injure them. This method is great because you can practicing deliver power over and over without hurting your partner. With a little practice you’ll be able to ‘pop’ your training partner several feet through the air. This is great for demos because folks can easily see the amount of power you are delivering but no one gets hurt. The second method you’ll learn is how to target a small area inside the opponent. Instead of moving them this method will rupture organs or break bones depending on where you aim. This is the advanced Dim Mak and it’s the primary way you would strike for self defense. Obviously you have to be careful training this skill. You’ll learn several ways to train this safely with a partner as well as ways to train it with inanimate objects so you can work on building more power correctly and without hurting your training partners. Everything in Chapters 4 – 21 builds on top of the skill you develop in this chapter. The first thing you learn in this chapter is another way to add more power. By itself this method should give your hits a bone breaking quality but you’re going to combine this with everything you’ve learned so far for even more power. Now, at first folks who train this method have to move a little slowly to maintain the proper body state. That’s why the very next thing you learn is how to use continuous explosive movement while keeping this kind of power in every part of the movement. Last but not least you learn how to use your legs. Though we’ve used the lower body a little, you’ve mostly learned about fighting with the upper body. So now you learn how to kick, stomp and shred with your legs while still using everything else you’ve learned so far. This is one of the key differences between the internal arts. and Xing yi fortifies the center. but simply fortifying your center isn’t enough. So in this chapter you also learn to dominate the opponents center with your fortified center. You learn to take control of their center and never let it go. …And once you control it all of your strikes are driving right to their spine again and again and again. Then this chapter continues with 6 games that will help you and a partner refine this principle as well as tune up all the skills you’ve learned so far. In this chapter you learn how to aggressively attack and run someone over like a freight train. This is the primary fighting strategy of Hsing-I Chuan. When given half a chance Hsing-I will quickly close on an attacker, run them over and come out the other side. The first thing you learn is how to deliver rapid multiple Fa Jing strikes. This explosive short distance striking allows you to deliver whole body powered strikes at very close range. You need this because the very next thing you learn is a principle call Smothering Zero Pressure. …While you continue to blast and strike with full power. The last thing you learn in this chapter is some leverage principles that allow you to take a much bigger attacker, pick them up and run them into a wall (or whatever) while still doing everything else you’ve learned so far. This is a short but very important chapter. The first thing you learn is how to use the hard parts of your body to protect the soft and vulnerable parts of your body. However Xing Yi primarily uses this skill offensively. So next you learn how each of the five element ‘shapes’ use this principle. …Until you can take almost any contact with an opponent and make it painful to them. Chapter 8: Offensive Fighting Methods of the Elements. 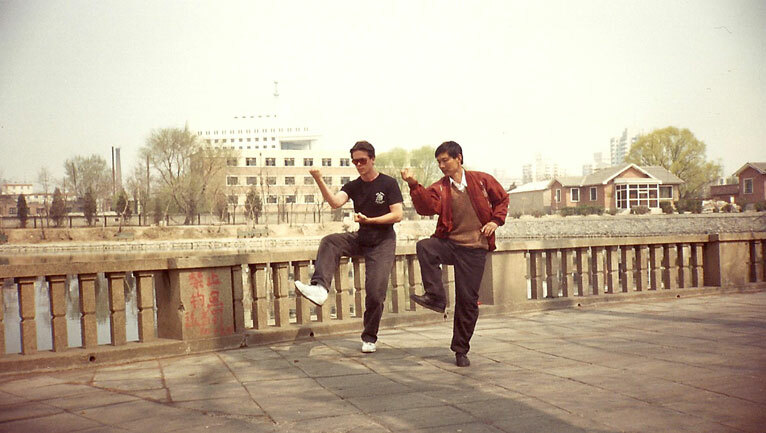 And you’ve started to put some of the core fighting principles, internal alignments and power generation methods of Xing Yi together. Now its time to deepen your understanding of methods contained in each element. First you learn some explosive blasting versions of the elements. Then we go through each fist and step by step and you learn a bunch of fun ways to destroy and opponent with them. Xing Yi Chapter 9: The Evil Version of Each Element. In this chapter you learn some especially vicious ways to use each fist. I know this sounds kind of like chapter 8. But in chapter 8 we focused on fighting methods that were unique to each fist. In this chapter you learn several fighting methods and principles that are used by all the elements. You learn how to destroy anything within reach and make it difficult for an attacker to get next to you. You also learn a VERY powerful, leverage based, way to use the five fists. One that’s very useful if someone gets too close and is trying to smother or grapple you. The five fists are the foundation of Xing Yi that everything else is derived from. Part of why our focus in this program is on the five fists is because if you have an in depth, functional understanding of the elements then everything else is just a variation on what you already know. You’ve already learned a bunch of different ways to use and expression the five elements. In this short chapter you learn how the animals relate to the 5 fists. For students who wish to pursue Xing Yi’s higher levels. Advanced training is divided into 8 modules that can be studied online or at our annual Xing Yi members workshop. 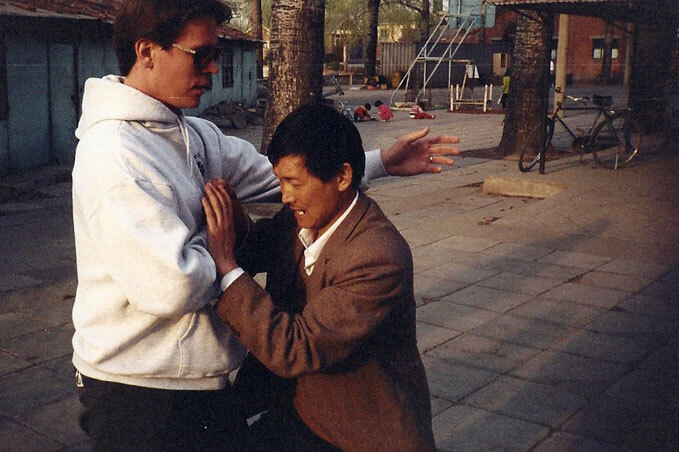 Prepare your body for the rigors of Intensive Xing Yi Training. The Kuntao Dragon Certification Package is an excellent way to begin building internal strength and body mechanics necessary for quality Xing Yi. We highly recommend that those working towards their Xing Yi Certification complete the Kuntao Dragon first. You will find it very helpful in accelerating your rate of progress. These DVDs teach you to build Iron Palm & Body skills using principles that are integral to all 3 Internal Arts. 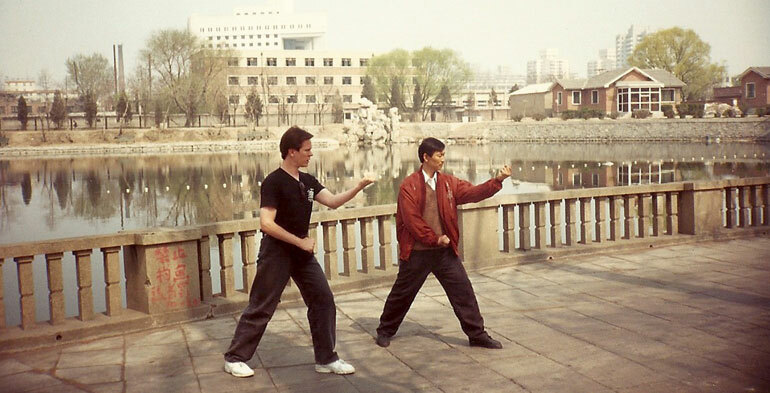 Our Xing Yi students find them exceptionally useful in advancing their Xing Yi studies. Learn the basic fighting methods and strategies of Kuntao Silat, Xing Yi, Bagua & Tai Chi and learn how these arts relate to each other. Q. Can I Access the online lessons with my iPad or Android? A. Yes, the lessons are mobile friendly and will play on most smartphones and tablets. Q. Do I need a training partner? A. Yes & No. You can get a lot out of the program with solo study. However, to get the full benefit of the program and to prepare for a certification test you will need a training partner. Q. 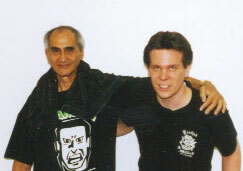 Does my training partner(s) need to be a Clear’s Xing Yi member? A. No, Your training partners do not need to be members of Clear’s Xing Yi. Q. What is required for certification? A. First, become a member. 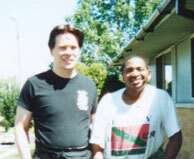 Then complete the 8 month Xing Yi Intensive. 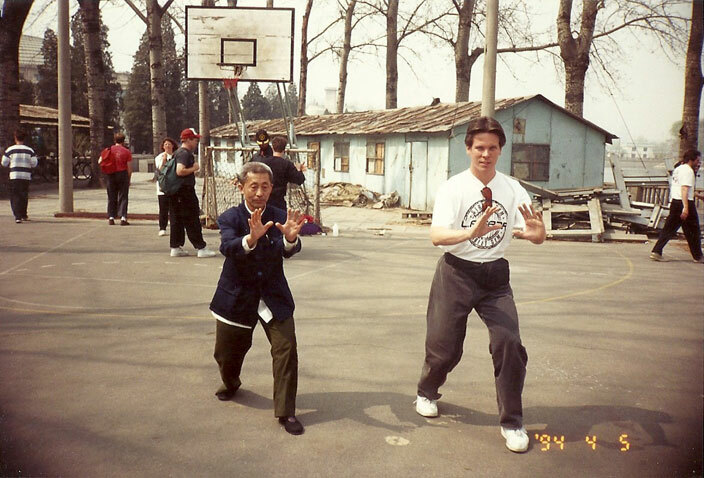 Practice diligently with a partner until you are ready and then test at one of our annual Xing Yi workshops.